I’ve been loving these 5th Street Grill Italian Turkey Sausages in every recipe I’ve used them in. 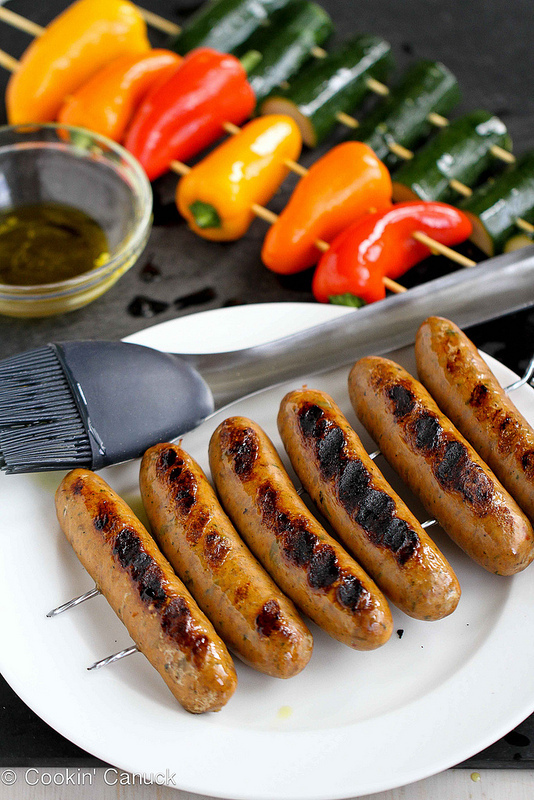 I’m always excited when I find a new ingredient that’s nutritious, flavorful, and convenient, and these 5th Street Grill Italian Turkey Sausages are a product I’ve loved since I discovered them earlier this year at Costco. In the first recipe I posted using these sausages, I mentioned how Jake and I were impressed by both the nutritional information and the flavor of the sausages. I also love that they come pre-cooked, making them so convenient for a quick meal. Since then I’ve shared a few recipes using these handy tasty sausages, and my friend Dara from Cookin’ Canuck has also fall in love with them and come up with a couple of tasty idea for using them. Of course, you can use any brand of turkey Italian Sausage in the recipes we’ve come up with using this sausage if you can’t find these, but if you do see these at your neighborhood Costco, I’m officially giving them a nod as one of my Kalyn’s Kitchen Picks. 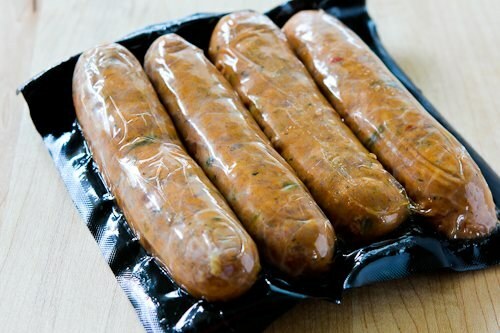 It does create extra packaging, but I have to admit I really like the way the sausages come wrapped in groups of four, which seems like just the right amount for a recipe. The big pack at Costco has four of these in it. when I bring one home from Costco, I usually put one in the fridge and the other three in the freezer. When I was moving and needed something that was easy to cook, this Easy Recipe for Roasted Red Pepper and Red Onions with Turkey Italian Sausage really hit the spot! The next dish I tried with the sausages was this Whole Wheat Spaghetti Salad with Italian Sausage, Tomatoes, Olives, and Basil Vinaigrette, and this was a huge hit when I made it for a family gathering. 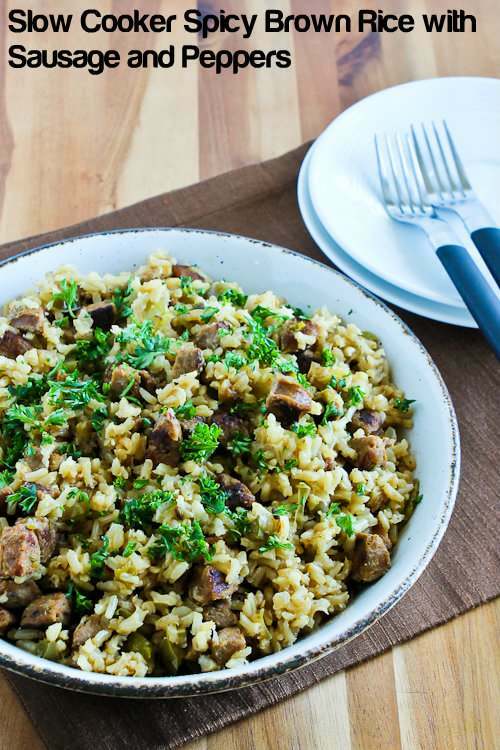 This Slow Cooker Spicy Brown Rice with Sausage and Peppers was a dirty rice knock-off made in the slow cooker, and this sausage made it easy to throw together. 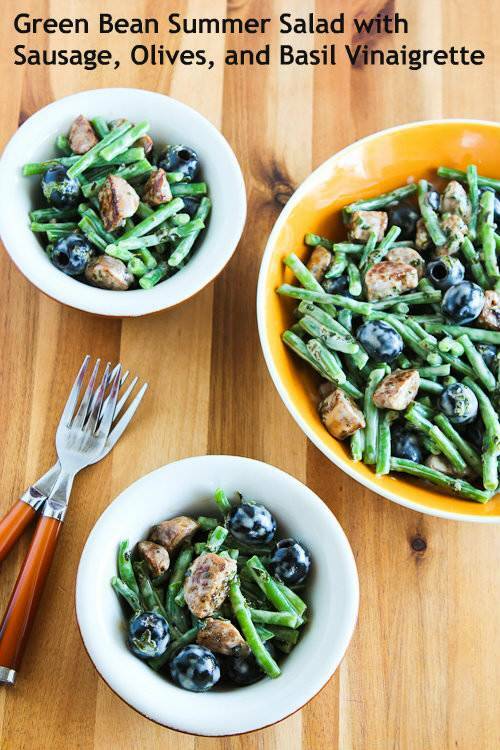 I was thinking outside the box a little when I came up with this Green Bean Summer Salad with Sausage, Olives, and Basil Vinaigrette, but it was a combination that really worked. After I raved about the sausage Dara firs tried them in this Mixed Grill with Sausages, Mini-Peppers, and Zucchini, and I love the way she used two skewers to make it easy to grill the sausage. 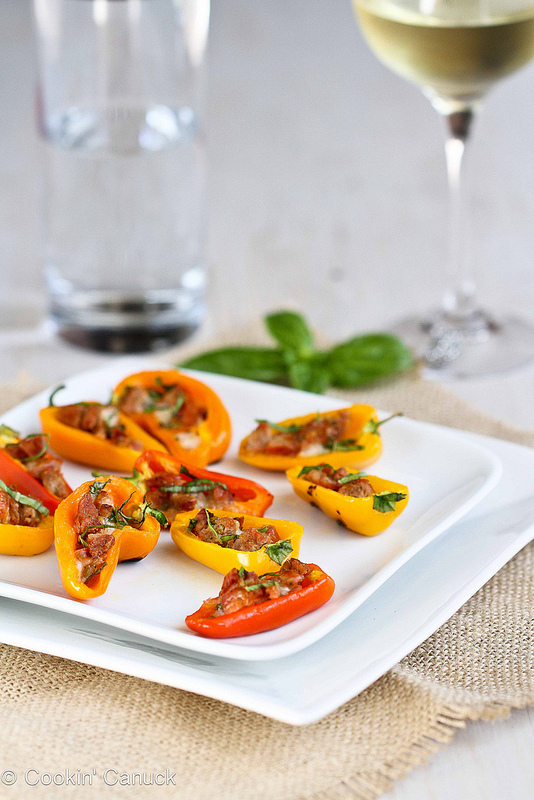 And I know I’d enjoy these Mini Grilled Stuffed Peppers with Sausage and Basil, which was another creative recipe Dara came up with using this sausage. Who Else Likes This Sausage? Have you ever tried this tasty sausage I’ve become so smitten with? If so, let us know in the comments about your favorite way to use it. I purchased 5th Street Grill Italian Turkey Sausages myself and the company has no idea that I’m writing about their product. All items featured as Kalyn’s Kitchen Picks are things I will happily buy over and over, and because I want readers to know that my opinions are completely unbiased, I don’t accept review products from the many companies who offer to send them to me. You can see the complete list of products I’ve chosen under the tab Kalyn’s Picks below the blog header. Posts may sometimes include links to my affiliate account at Amazon.com, and Kalyn’s Kitchen earns a few cents on the dollar if readers purchase the items I recommend, so thanks for supporting my blog when you shop at Amazon! Good to know about the WW points! I concur, and 2nd your recommendation! They're mildly spicy, quite tasty, and only have a Points Plus value of 2 points each! << Weight Watchers speak. Lydia, hope you like them. I'm puzzled that there's no website! I'll definitely look for these on my next trip to Costco. Maybe another local market closer to home can be persuaded to carry them, too. Linda, I was surprised I couldn't find a website for the company, but on the package it says "Distributed by 5th Street Grill, Beaver Dam, Kentucky. Hope that helps. who makes these sausages so I can find out where they distribute to. I don't belong to Costco.